Welcome to Podcast episode number 12 of the Mobile, Alabama podcast with Bill Sisson. My name is Marcus Neto. 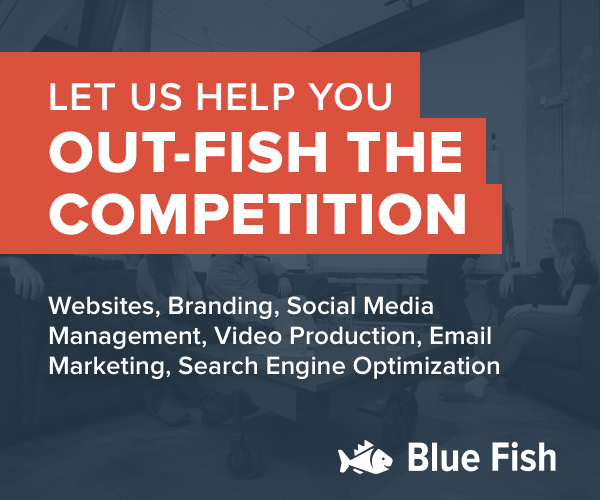 I own Blue Fish, a digital marketing and web design company based in downtown Mobile. I'm the host of Mobile Alabama Business Podcast where we talk to local entrepreneurs and business owners about their businesses and how they got started. I'd like to thank you for spending time with us today. In today's show, I sit down with Bill Sisson, the CEO of the Mobile Chamber of Commerce to discuss several things that the Chamber is working, on including 1702, the CEO mentoring group started by Dean Parker, Michael Chambers, Bill Sisson, the Mayor and others. We also talk about the good news out of the Paris, France air show from a few weeks back where the Chamber announced the companies that will be expanding their facilities or bringing new facilities to Mobile. They announced somewhere that they are going to put a 500 new jobs over the course of four to five days. We also talk about the incubator project and Bill’s love for amateur fishing. So, let's dive right in with Bill Sisson. Marcus: Today, I'm sitting down with a special guest, Bill Sisson. Most of you listening to this podcast are going to know that Bill is the President and CEO of the Mobile Chamber. Welcome to the podcast, Bill. Bill: It's good to be here. Thank you. Marcus: First, I want to say thank you. If I remember correctly, you are the one that nominated me for 1702 and I thoroughly enjoy that. We're halfway through our session right now. We're taking kind of a break for the 4th of July and I think I'm going to miss the next meeting. I want to thank you for getting me into that mentoring group, because I've gotten a lot out of it. But I also wanted to kind of give you a chance to share your vision for what 1702 is, because I know you are kind of pairing up with some other folks to have that happen. Bill: Well, first of all thank you for being a participant in 1702. It is a program that I'm particularly excited about, because I think that in Mobile this is a very vibrant economy and we have certainly succeeded in large scale economic development in various sectors: Airbus, Austel, the former ThyssenKrupp facility, which is now AM/NS in Alto Campoo. Very international, very strong and advanced manufacturing. Perhaps something we've not focused on and done quite good of a job at is in entrepreneurship. I think 1702 is a way to really overlay some of that activity. So, again, appreciate your interest in it. You are the kind of entrepreneur that we certainly want to foster here in this market. Marcus: I appreciate you saying that. I think it has been really interesting to get to know some of the other guys. I think I mentioned in the very first podcast that was kind of an explanation of why I'm doing this. There were a couple of guys that kind of spurred that on. I mean, this whole podcast, the desire to expand on the positive things that are happening in the business community here, which is the purpose of this podcast, was spawned out of that meeting. 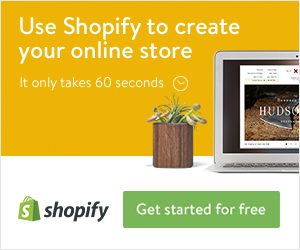 It's been really cool to experience, because there are a lot of other like-minded small business owners. And then, what I've learned since then in recording this podcast is that there's just like a ridiculous amount of people that are in business that are doing wonderful things here. We sat an hour ago with Chris Rainosek from the the Noble South. He was talking about how he even saw there was a change that was happening in downtown and some of the influence that the Chamber has had in helping businesses grow and get the exposure that they need down here and stuff. So, hats off to you and your team for helping with that. Bill: Well, thank you. You know, there have been a lot of people involved, but I can tell you that there is a sort of new energy downtown. Bill: That’s certainly exciting. The Chamber is located downtown. Since I've been here in Mobile, which is a little over 12 years, one of the biggest changes has been in downtown. I think that it's really the perfect place for entrepreneurship, for small business development and we're saying that certainly there's work to do. We want there to be more live, work, play, learn downtown, but that's certainly well on it's way. I think that once we reach a critical mass, I think then it really begins to explode. That's going to be exciting to watch. Marcus: Go back to 1702. What is the vision for 1702 - when Dean and you, and gathering the Mayor, you know, all kind of discuss this. What's the 3-year goal for this? Bill: You know, I think that it's doing what it's really designed to do now and that is to bring together various levels of business. Lots of different sectors are represented, different size, companies, very entrepreneurial. It's exciting to see that there are a lot of people in Mobile that belong to something like 1702. But I think more than anything else, is just to foster that entrepreneurial small business incubator ecosystem here in Mobile. I think that, again, is well on its way. I think that's already being seen. So, over the next couple of years, you're asking three years. I think more of the same. Bill: A new class. I mean, you know we have 24 students in this class that are like I said from lots of different size businesses. I think the revenues, they go from anywhere from $500,000 a year all the way over to $100 million a year. Marcus: It was very surprising to me to see some of the folks that are in there, because I mean there are some quite large organizations represented. Bill: And then some various small ones. But I think that just the fact the these folks are able to get together with other entrepreneurs that they didn't know existed in this ecosystem, I think that's a good thing. It creates a network that perhaps there was a vacuum before. Marcus: That's really cool. I know that you and the Chamber's economic -- well actually I take that back because you told me right before this that you did not attend, but the Chamber's economic development team recently spent some time in Paris, France for one of the world's largest air shows, is that right? Bill: That's correct. Yeah, the Paris Air Show. Marcus: Yeah. well, I love watching the tweets coming from that as there were several companies that said they were building a presence here. Can you give kind of a summary of that week? What came out of that? Bill: I know. You can go to Europe to an air show and people will know exactly what you're talking about when you talk about Mobile. And you might go to a conference in Santa Fe and somebody might question you where Mobile is. But in the aviation aerospace sector worldwide, the cause of what's going on here with the world's newest cluster developing around the Airbus were well known. So it's really exciting environment there and there are a lot of questions about what's happening in Mobile, why Airbus picked Mobile. So, it's a great sales opportunity. Our focus this year at the airshow Lee Perry Herndon, who is our Communications Vice President, she went to be able to send out the social media messages and to arrange and help facilitate a lot of interviews with international press. We have a lot of attention us right now. So, we were able to market during that show. Some exciting things had happened. We had several suppliers that were announced, not the least of which was Hutchinson Aerospace, which was a major supplier that will be locating at Brookley. Not only servicing Airbus, but also working with Boeing and other aviation companies and they chose Mobile as their location because they see this as an up and coming aviation aerospace cluster. So, the Hutchinson has over 30,000 employees worldwide. For them to choose Mobile for the latest facility, I think it says a lot about the potential on this market. Marcus: If I am remembering correctly, I counted somewhere in the neighborhood of four or five hundred jobs that were kind of represented, not just by Hutchinson, but the other organization that were saying that they were going to have a presence here as well. Bill: That's right. Saffron announced another expansion. You had Moss which is doing the landing systems for Airbus. They announced which is an Irish company. Then again, we had a home-grown entrepreneurial company, Star Aviation. They have been doing business with Airbus and Boeing for years, started right here in Mobile at Brookley and they announced a nice expansion project because of their increased business. They'll be adding 30 to 50 new employees. Bill: I think it was a good show. I think it really gives people a small taste of what we're in store for over the next few years as the center opens and again we're seen as the world's newest fastest growing aviation aerospace. Marcus: Educate me a little bit on that. I think I've heard the story told before, but what is your take on why Airbus would choose Mobile? Is it the port? Is it the field, Brookley Field? I've heard stories told of, you know, that Mobile has six different highways, a major train railway that goes, passes through the same area. Of course, the airfield, the port; I mean, there are many different mechanisms by which you can get cargo, large pieces in and out of Mobile. Is that one of the factors that came into play? Bill: Absolutely. Logistics were extraordinarily important for them to make their first decision and then that was on the tanker project which is the military tanker, the 330 Project, almost 10 years ago. So, this is a relationship that has been developed over the last decade. Bill: And is very important for testing aircraft and delivering aircraft. So, those logistics come together. On top of that, at the Brookley Aeroplex, you have two interstates that intersect; Interstate 10 and Interstate 65 which goes to Chicago and 10 going east to Jacksonville and west to Los Angeles. So, supplier parts, if they're not located near, can be brought in easily or as you mentioned by rail because there are five class-one rail that hub at our port. These logistics are really unparalleled in the country. So, Airbus saw that. Previously, Boeing had paid attention to that site but at the end of the day, Airbus is located at Brookley and that's good for all of us. Marcus: It's really interesting. I know we're all very excited about the tanker project. When that kind of fell through, I was very pleased to hear that they maintained their commitment to this area. They wanted to find something that they could bring to Mobile. Hats off to Airbus for making that happen. Bill: Absolutely. That relationship has been a strong one. I have to commend Airbus because of their loyalty. They know that this community put a lot into the original tanker project. If they could figure out a way to make that business case work on the commercial side, they were going to do it in Mobile, Alabama. That certainly is admirable. Marcus: I think it's awesome that Mobile showed up on the day when the parts arrived and had a parade. That just tells you what this means to this area. Marcus: People are excited about them being here. Bill: That also shows that we can put on a parade at the drop of a hat. Marcus: Yes. That's for sure. Leave it to the Mobilians to come up with any excuse to have a parade. You and your team definitely have a positive impact on the economic trajectory here in the area. I applaud all of you for it. Are there any projects or two that you'd to highlight maybe St. Louis Street or something else? Bill: You know, I think that entrepreneurial activity is something that I'm particularly excited about. Our former chairman, Michael Chambers, an entrepreneur, he's started several bio-science companies. He really thinks that way and he supported it wholeheartedly. He was a big supporter behind 1702, for example. I think that the newest thing that will happen that will get everybody very excited will be an incubator. An actual incubator downtown. Hopefully on St. Louis Street which will give us bricks and mortar around this ecosystem idea of fostering entrepreneurship. I think that our real niche here in Mobile is that we manufacture things still. 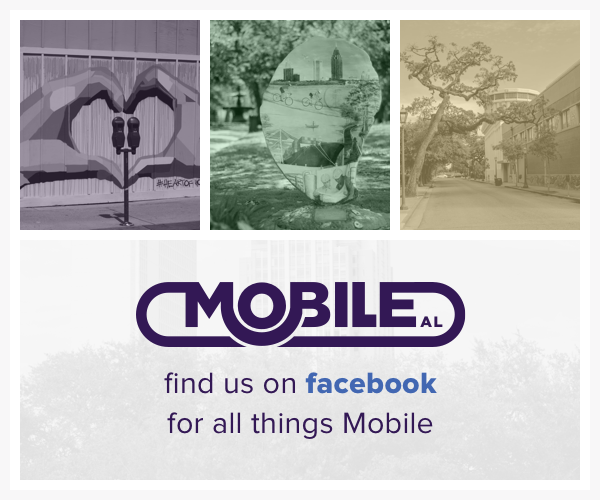 We do not just consume things, but we actually make things still in Mobile. And so, I think there's a lot of opportunity to overlay innovation and entrepreneurship in those manufacturing sectors. R&D work having to do with the aviation airspace. R&D work associated with ship building. Certainly, R&D related to the chemical industry and the advanced technology at the steel facilities in this area. There's real potential for that, and what I think is particularly cool is that it will happen downtown, which will add that vibrancy to our downtown core that I think everybody wants to see. Marcus: Certainly. For those of you that might be listening that aren't familiar with the term incubator, basically it is an area that is provided to founders or small business owners so that they get deals on maybe reduced rent or facilities. That allows them to kind of grow that business. Also, there's a synergy that comes along with that, right? So, if you've got two businesses located in the same space, there's kind of a sharing of ideas that iron sharpens iron kind of mentality that happens with people when they're located in the same facility. I'm actually pretty excited to see that. I think one of the conversations that we had early on was that I had talked to the guys at Rocket Hatch in Huntsville. I had been to Chattanooga on all these other areas where they're kind of starting to go down that path or at least they had two or three years ago when we first started talking. So, I'm excited about the idea of us having something similar here. Bill: I think that environment you point out, I think that's the real key to an incubator. It's what you get in a facility like that is that cross-pollinization. It's like 1702, except more on a daily basis where these entrepreneurs from various sectors can see each other and bounce ideas off of each other and perhaps do business with each other. The idea of the incubator, and again, I think that that's something that we'll see come to fruition. It's going to be great for this market and something that we need and the timing is perfect considering what's happening in the economy. Marcus: Yes. If I may, isn't that the third leg to the stool of the economic... So, you've got hospitality and industry. We know that. We've got that down. We've got the manufacturing. We've got that down. But this idea that this, not necessarily tech jobs, I mean, tech job covers a large audience of either biotech or actual technical companies like we are or people that are developing software and so on and so forth. It seems like that's the third leg to this stool for this area. Bill: I think that really is. Again, I think that overlay with the manufacturing sectors that are doing so well here, that's how we can differentiate ourselves here in Mobile. We're not the resource triangle in North Carolina. Bill: We're not the Silicon Valley. We're something even more unique in that it is geared towards these manufacturing sectors that are doing so well. Plus, it provides opportunity for continued advancement of the IT sector and certainly the Bio Sciences. Marcus: Yeah. That's really interesting. I was talking to somebody the other day and we were remarking at how surprising it was that there was so much biotech that was coming out of this area because it's not something that people typically think about. But you know, there are a number of hospitals in this area that are in that forefront. So, it's interesting to see..
Bill: And you know, something else that's happening is that we have sort of some change in leadership which is fortuitous. Tony Waldrop, he comes from an entrepreneurial research background, having done that at UNC in that research triangle area in North Carolina. He did it in the Orlando area, and now he's here at just the right time to really connect the university with what's going on in our downtown incubator and what's going on in our technology advancement, Airbus, etcetera. Marcus: Well, I think it’s very telling because a lot of the events that I go to for businesses in this area, I'm noticing that the University of South Alabama is showing up in force. They very much want and care about what's going on in this area, and they want to see the economy improve here. You all are obviously throwing most of those events, so you're facilitating and also a part of that. But I'm also noticing and I think we discussed a book called "Start Up Communities" by Brad Feld awhile back, and Brad expresses that nothing happens without the entrepreneurs actually caring enough about it to happen and you've got the guys like Michael Chambers and Dean Parker that are stepping off the bat to actually facilitate these things which I think is just phenomenal because with those three people involved, and I then can't forget the mayor's office and the emphasis that he's put on seeing Mobile change and become the safest city that has that third leg of the stool with the tech jobs and things of that nature. I think if all of those pieces kind of come together, there is really a chance for some change here and some improvement. Bill: I agree. The partnered approach has been our key to success. I mean, you do have the city involvement, the county involvement. Certainly the chamber and the business community. Entrepreneurs like Dean Parker. I cannot say enough good things what Dean has done to help really move 1702 forward quickly. His persistence and energy certainly made that happen. But again, the University of South Alabama and we're blessed with others as well, you know Bishop State is involved in what we're doing. Certainly Spring Hill College and Dr. Puto who is the new president there, another business person with an entrepreneurial background. He gets it and he's going to want to be involved. Dr. Foley and his work at the University of Mobile, others. So, we've really got a lot of what I would call resources and assets all at the table together working towards this. I think that's a recipe for success. Let's change gears just a little bit. I want to talk to you a little bit about you. I know that you have the mindset of an entrepreneur. You cared very much about the small and medium sized business owners. As someone who is running an organization, as a CEO, what's one of the most important lessons that you've learned? Bill: You now, I think that I would say that the most important lesson is being responsive. I think that that is so important in all careers in particular in the economic development field. You have to be on call at all times and be responsive. Bill: But that will really pay off for you because when companies for example are looking and surveying and trying to decide where they want to locate, they're going to go where they get the fastest response. That responsiveness can really serve you well. So, I would say that that's been a lesson that I learned early on and has served me well. Marcus: Well, the responsiveness is also your ability to pivot to change direction as well, right? So, not just being always available but also seeing trends and being able to adjust to them. That's a really good thing. Bill: And I will back up and touch on what you said about supporting small business. That has been very important to me. I was at the Chamber before, I was at the Airport Authority and now back at the Chamber as president. All of the staff at the Chamber and our board can tell you that that has been a big focus of mine, because I think it's important to remember that we're hearing all these great things about a large company like Airbus and Austel. These companies are great and is making a difference in Mobile, but our city's economy is really at the end of the day geared around small business. Over 90% of our members at the Chamber are classified as small businesses. So, it's the lifeboat of any community. Marcus: We have definitely recognized that as a small business owner. You all do very much cater to all organizations of all sizes. It's not just the larger groups that get the attention. Bill: It is very important to us, because for us to be truly the voice of business and we hope we are, and that's what we strive to be, the voice of business for this region, we have to have small, medium and large businesses as a part of that voice. There's many Chambers in the US that have focused on one particular size, maybe just small business, maybe just large business, but ours really tries to cover all. I think that that helps us have that strong voice. Marcus: Absolutely. Is there an area of running the Chamber that you're putting a lot of effort into? Bill: I think that we've talked about those small business and within that the entrepreneurial activity. This is a real big focus right now. We see that being important for several reasons. One, we have this wonderful opportunity to again overlay with these global companies that are coming here. They're going to want to connect with the universities. They're going to want to connect with the local business community and they're going to want to do or have R&D handled here locally. So, we have a golden opportunity. And so a lot of focus has been in those areas. Marcus: What are those opportunities? Bill: Keep in mind these companies, Airbus for example, this is their center of excellence for the Americas. “Center of excellence” implies a lot of different things, but it certainly does not just apply to manufacturing or assembly. That's going to apply to R&D activity, certainly, connections with the University and other research facilities in the area. So, I think all that will take place under that title “center of excellence”. Marcus: That's interesting. Give us a look at an average day for the CEO of the Cchamber. What does that look like for you? Are there any even on the forefront of that, do you wake up at a certain time? Are there any patterns to your day like do you get up and read or do you look at certain websites or do you go work out? What does an average day look like for you? Bill: I do try to work out first thing in the morning because it's hard to do it later in the day. Marcus: Yes, another one. That's my morning ritual. I have to do that. Bill: Probably something that I shouldn't do but I do is immediately start looking at email. I'm not sure that's particularly productive, but I do that and start responding to those because obviously I get a lot of those. To get my news these days, I do a lot of that through Twitter and through social media. I find that that's the fastest way to get a lot of information. At work, I still get the old fashion Wall Street Journal to sit down with. The Economist, I sit down with, but for that quick news I rely heavily on certainly the iPhone and social media. Marcus: Sure. It's amazing how fast news travels these days on social media. Marcus: And that can be a good thing or a bad thing. Bill: And in the Chamber world, and really a lot of different worlds, it's real important to stay on top of local events as well. Bill: That's a little bit more challenging these days to do that. Marcus: Specially when – you don’t have to give an exact number, but round about how many members do you all have? Bill: We have 2,200 members. Bill: Which makes us the largest in the state. Marcus: Trying to keep tabs on you know 2,200 members I'm sure becomes quite a difficult undertaking. Bill: Yes. Sometimes, I will joke but there's some truth to it that you have 2,200 bosses and that at any point one of them can call and change the course of your day. Bill: But that's being responsive, right? And so that goes with the territory. Marcus: Absolutely. So, you mentioned the Wall Street Journal and The Economist. What other resources do you find helpful? Any books worth mentioning, other websites? Bill: You know, I try to keep up with the aviation aerospace sector because of the fact that we are growing that sector so quickly here. So, I read Aviation Weekly and some of those publications to try to keep up with what's going on in that industry. But the problem with Chamber work and economic development is that you really need to know a significant amount about a lot of different sectors. Bill: Sometimes it's difficult to keep up with all of them. So, at times you feel like that you're spread thin and that you're not an expert in anything, but you know. Marcus: You just have to be able to speak the language and understand what some of the trends are on each of those. Marcus: It's interesting. I find that many business owners or entrepreneurs are really focused on their businesses, but they also have hobbies that allow them to stay balanced. So, what do you like to do in your free time? Do you have any hobbies? Bill: In my free time, when I'm completely not work related, I love to fish. Marcus: That's awesome. Inshore, offshore? Marcus: So, a little bass fishing and stuff like that? Marcus: I've lived here for, I don't know, 11 years or so now, and I used to fish inshore all the time, you know large mouth bass and stuff like that. I have not, for the life of me, gotten used to offshore or saltwater fishing. It's just not something that comes easily. Bill: Well, I am not originally from the coast. So, I didn't grow up doing that. So, for me it’s an exotic, sort of something you do occasionally, but not all the time. Plus, I've never wanted to own a boat because I didn’t want all the maintenance that's associated with that. But that's a great selling point. Marcus: Best first day and best last day? Bill: Exactly. But this coast is a great selling point. The fact that, it's unbelievable how easily you can access those recreational activities. Bill: The other thing that's nice about Mobile, in particular, is in this region, you have all sorts of housing options . If somebody wants to live in a historic district, we've got plenty of those to chose from. If they would prefer to live on a lake, they can live on a lake. On a river. They can live on the beach if they would like. Or if they want to be out in the woods, it's not very far at all. So, they are all available. Marcus: You can have any of those within a 15-minute drive of each other. Bill: Which is insane. Which is insane. Bill: The only place that probably would beat us would be Southern California, but then you have all the traffic and the mess and the expense. Marcus: And you have the California aspect into that. Marcus: Just to wrap up, where can people find, not necessarily you, but where can people find out more information about the Chamber? If you want to give like maybe your Twitter handle or something along those lines, that would be fun. Bill: It is easy to find us online. Certainly we're on Twitter @themobilechamber. You can find us either place. We try to keep our social media going at a rapid pace. We have people in our communications department that do that. We hope that people are looking and watching. You were saying that you were getting those tweets and the posts that were going out during the show. We hope that a lot of people are looking at that. Well, I want to thank you again for coming on the podcast. To wrap up, any thoughts or final comments you'd like to share? Bill: You know, I would just end with these are exciting times at Mobile. I think that it's very easy for us really to see what's going to happen if we look at the other places in the world where large aircraft are assembled. If that's not enough, we have other sectors that are growing very quickly. It's not just Airbus. We have Austel, which when I came here, they have 150 employees and they have 4,300 today. Our chemical sector, which people thought was going to die, is now one of our fastest growing sectors in this market. The price of natural gas is certainly helping with that, but a lot of really smart people that are working at the chemical facilities in this area and they continue to do well. So that diversification, that global aspect, and again, the center of excellence that Airbus is creating all reasons for us to be very bullish on this region. Marcus: That's very cool. Well, I appreciate your willingness to sit with me and share your journey as an entrepreneur. And it was great talking to you. Bill: Thank you. I appreciate it, Marcus. Thanks a lot for what you're doing.